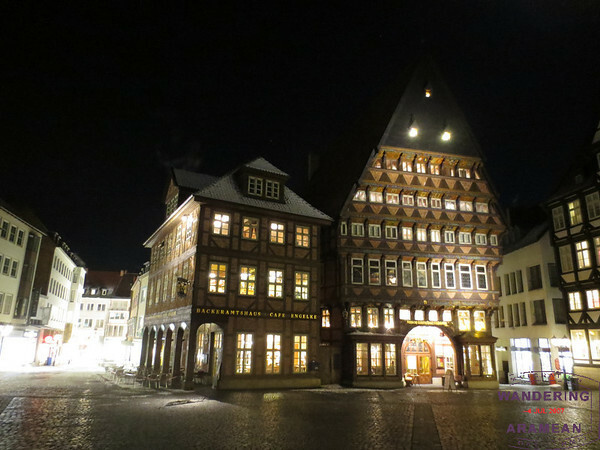 Hildesheim’s claim to fame is its Romanesque churches and they are absolutely worth going out of the way to see if you’re anywhere near the region. Assuming you get there, however, don’t just bail on town after checking them out. There really is more to town and it doesn’t take much extra time to enjoy the others sites, too. The town square has been rebuilt to look like it did in the mid-19th century. Sure, it isn’t completely authentic, but it has the look and feel. 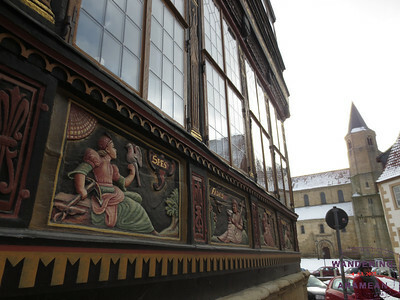 The butchers guild hall (above, right) also houses a museum celebrating the last 150 or so years of history in Hildesheim. A bit strange with doll houses to show what life was like, but there is more to the exhibit besides the doll houses. Some of the bits are even subtitled in English. More impressive to me were the small homes lining the streets of the town. Great details on them and tons of character. Near the St. Godehard church there is a small square with a statue dedicated to the Jews who used to live there. 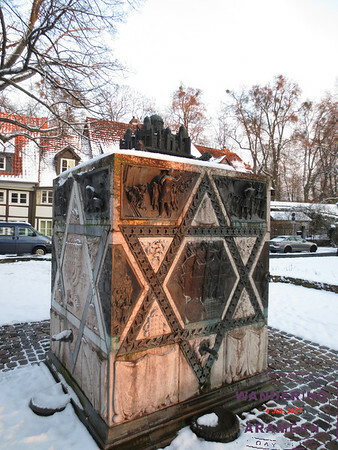 The monument is said to be the size of the cornerstone which used to be at the same location and serve as part of the foundation of Synagogue there which was burnt down during Krystallnacht in 1938. 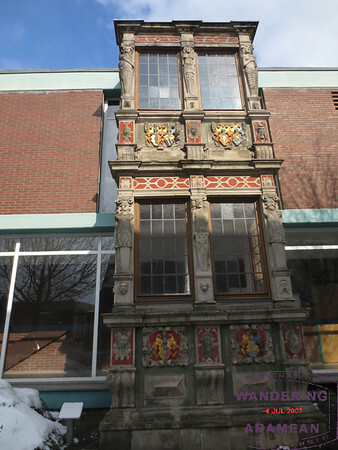 And there is one random old building wall/window which has been incorporated into new construction. I don’t really get it, but we walked by and saw it as part of our loop through the city. Speaking of loops through the city, there is actually one laid out by the local tourist office marked by roses painted on the sidewalks all over town. Follow the roses and you get a great tour of the city, including all of the above sites and the churches. If I wasn’t so stubborn and independent we probably would’ve just done that and spent a lot less time trying to figure out where we were and which direction to turn. Great pics and write up. 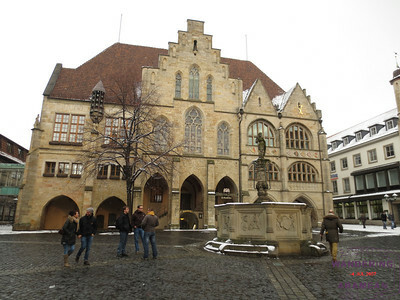 I had never heard of Hildesheim prior to this. Thanks for sharing. Until I started planning this trip I’d never heard of it either, Nate. My wife asked me to plan a trip to Europe for her to do some research on a book she’s writing. She gave me a few regions and such but it was on me to figure out the details. I originally picked Hamburg rather than Hildesheim as I’ve been there once before and thought it a fun city. 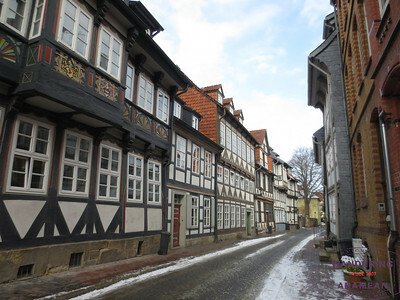 In talking with a German friend of mine about the trip he recommended that I look into Hildesheim instead. I did and I cannot be happier. Quite affordable (though we did visit mid-March rather than peak season) and a great, quiet little town for a day or two. Tons of history and very friendly people. Can’t say I’d rush to go back as I’ve seen most of what there is to see and there are other things I’d make a higher priority in the near future. But it was definitely worth the visit. Is it doable as a day trip from Berlin? 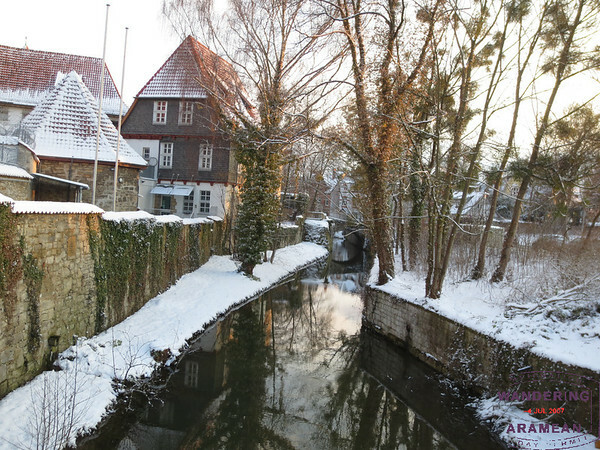 We’re doing New Year’s Eve in Berlin this year and I’m looking for day trips. Never heard of this town but it looks like it fits the bill. Keep in mind, we do crazy day trips. A trip from Lucerne to Lugano ended up with us going to Milan for dinner and back to Lucerne in the same day…. Looks like train or drive about 2 hrs each way? Anything is doable as a day trip, Cruisr; just depends on your tolerance for crazy. At 2 hours each way en route I’d say you could still spend a solid 6 hours there and get a great feel for the town and the history and not be too exhausted. You are there now? Its quite cold isnt it? I was there late last week and, yes, it was quite cold. Still pretty though.